WIC stands for Women, Infants, and Children. 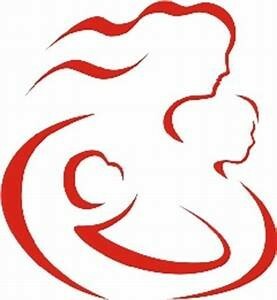 It is a nutrition program for all kinds of families: women who are pregnant, women who are breastfeeding or postpartum, married and single parents, parents who are working or not working. WIC also helps if you are a father, mother, grandparent, foster parent or other legal guardian of a child under the age of 5. Infant formula can also be provided if needed as a supplement to breastfeeding or if breastfeeding is not an option. Physical presence: Applicant must be physically present at certification visits. Medical/nutritional needs: Applicant must have a medical or nutritional risk. Categorical: Applicant must be either a pregnant, postpartum or breastfeeding woman or a child from birth to 5 years of age. Income: Applicant must have income within the Ohio WIC income guidelines. Must provide proof of income, or a current Medicaid card, healthy start approval letter, or receive Ohio Works First. Identification: Applicant must provide personal identifying information. Residence: Applicant must live in Ohio. Women on the WIC program eat better, have healthier babies and receive earlier prenatal care. Children on WIC eat foods with more iron and vitamin C, visit their doctors more regularly and receive their shots on time. To speak to a WIC staff member please call the Noble County Health Department at 740.732.4958 to schedule an appointment. All it takes is a visit to your local WIC clinic to see if you qualify for services. If you are eligible, and once you see the nurse, you will receive a WIC Nutrition Card to receive your healthy foods. You can shop at any WIC approved grocery store in Ohio.